Spring in the south of France, and the Languedoc-Roussillon, means a return of the light and the blossoming of spring herbs. 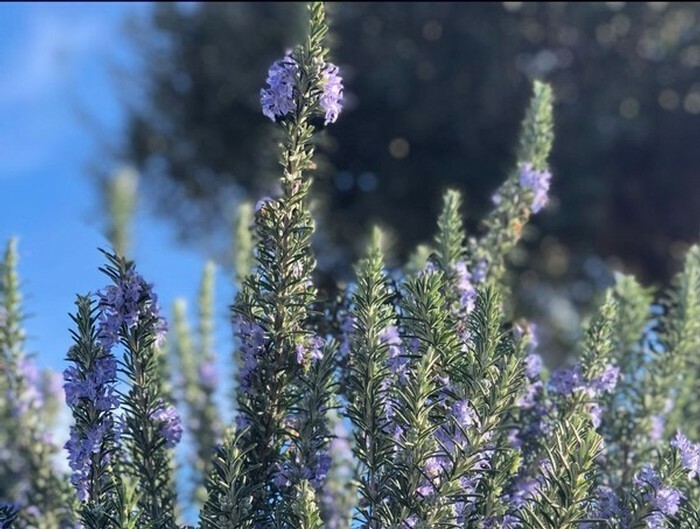 Wild rosemary, thyme, and fennel are part of the "garrigue," the rich vegetation which intermingles with the vines, lending beautifully complex flavors and aromas to the wines. Spring also means a return to bright, crisp wines to accompany the fresh flavors of the warmer months. Below you'll find two herb-influenced whites and a sparkling to welcome back the light! Warning: this wine is incredibly drinkable! A classic blend of white varietals—Vermentino, Grenache Blanc and Viognier. The vines are situated within the ‘garrigue,’ so rosemary, fennel, and thyme contribute to the aroma. Expresses pear and blossom in the nose. Rich and generous in the mouth. 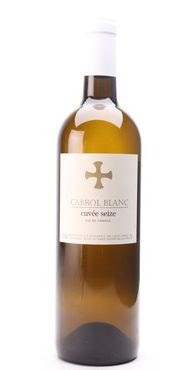 This white is created with Chenin Blanc, Grenache Blanc, Gros Manseng, Viognier and Sémillon. Quite a cast! The vines grow alongside rosemary, thyme, and fennel, lending an herbal touch. You'll also find nice citrus fruits with some tropical, fresh mango. This top cuvée offers a smashing, and some say preferable, alternative to classic Champagne! Delicate and fine bubbles, hints of buttery toasted biscuit, white flowers and a long finish. Perfect! St. Guilhem le Desert, where one of our wine domaines, La Voûte de Verdus, has been operating for over 100 years. Our quest to bring you the undiscovered wines of the Languedoc-Roussillon area of France takes us throughout the region. We immerse ourselves in the rich history and beauty of the area and meet the colorful personalities and innovative winemakers at the heart of the winemaking renaissance. Last weekend we visited one of our wineries, La Voûte du Verdus, a family-owned domaine located in the medieval town of St. Guilhem le Desert, an ancient commune officially designated as one of the Plus Beaux Villages de France. The vineyard was planted over 100 years ago and is managed by Guilhem Bonnet, a third-generation winemaker. 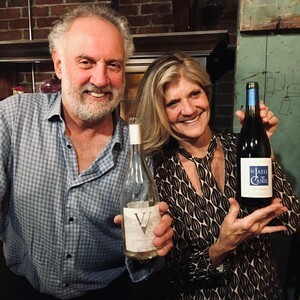 You'll find two delicious La Voûte du Verdus wines toward the end of this post. 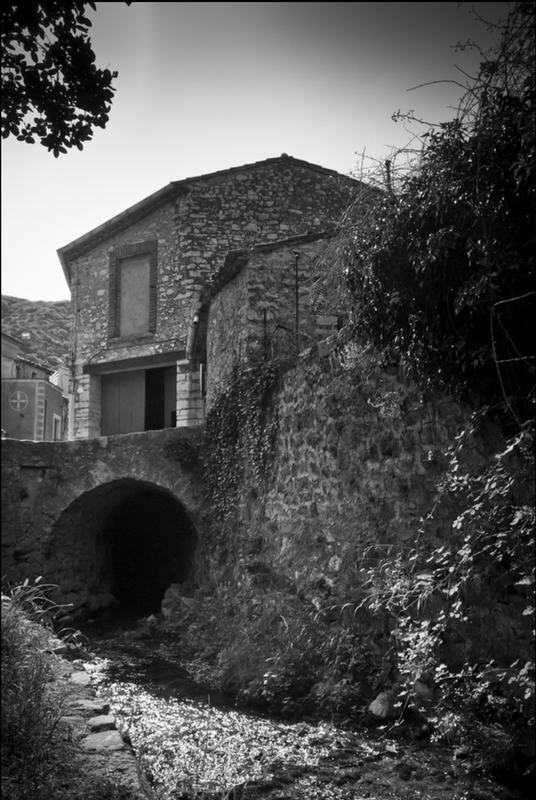 La Voûte du Verdus (“vault of the Verdus River”) is so named because the cave in which the Bonnet family makes the wine sits atop the Verdus River, which runs through the center of St. Guilhem le Desert. Here, the father, Guilhem Bonnet—who is a winemaker and the vineyard manager—shows the Bear newly planted Vermentino vines. At 3 years old, these grapes have just "come of age" for winemaking in a blend with grapes from older vines. 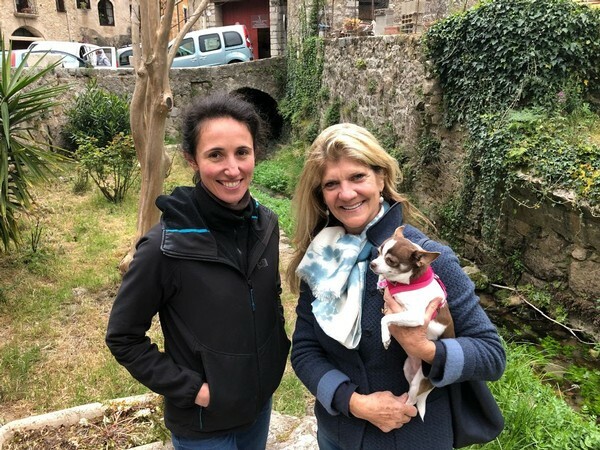 The Princess chats with Mélanie Estival, daughter and fourth-generation winemaker of the family-run La Voûte du Verdus. In the background, the Verdus River flows beneath the cave (or "vault") where the wine is made. And of course, Gigi is enjoying the scenery! This top red cuvée is a beast! The Carignan is a true Mediterranean varietal, totally adapted to the climate. Together with Mourvèdre this is the heart of the blend. Syrah and Grenache Noir are like salt and pepper. The result? A deep red wine with spicy and leather aromas in the nose, soft and silky tannins, and a long aftertaste without being heavy. So, so delicious! Perfect with game, duck confit, and hard cheeses. This is a Princess favorite! This La Voûte du Verdus Blanc is equal parts Colombard and Grenache Blanc. 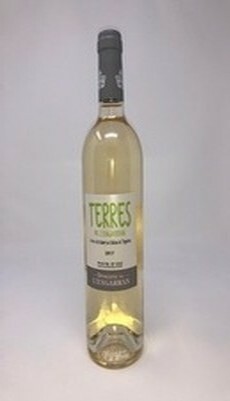 The wine is deceptively pale in color because it carries very expressive fruit in the nose (green apple, lime). It has a fresh and acidic attack but is still round and full in character. Excellent with seafood, chicken, prawns and goat cheeses. Each month we offer you a new pairing of a savory recipe with one of our extraordinary "undiscovered" wines from the Languedoc. 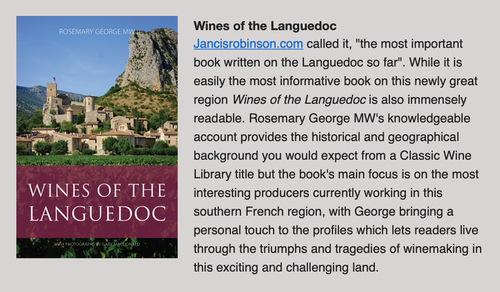 It's our way of saying merci for joining us on this adventure into winemaking in the Languedoc-Roussillon, an area wine critics describe as "the most exciting wine region of the whole of France." This month we've paired the tartness of a 2017 Soif L'idéal white with the spicy-sweet goodness of Tempura Fried Shrimp and Ginger-Chili Dipping Sauce. This may become your own “ideal thirst” quencher. 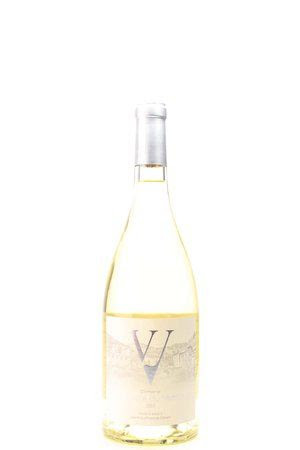 The structure and acidity of the Grenache Blanc and Vermentino blended with the honeyed pear and peach flowers of the Roussanne and Viognier creates a wine that is lively and engaging. Finishes with a smooth, nut bread hint. 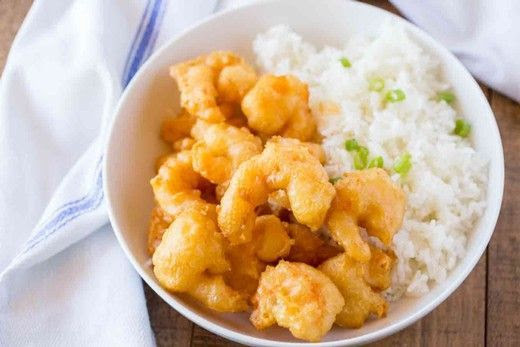 The tartness perfectly complements fried food, including this month's Shrimp Tempura recipe. 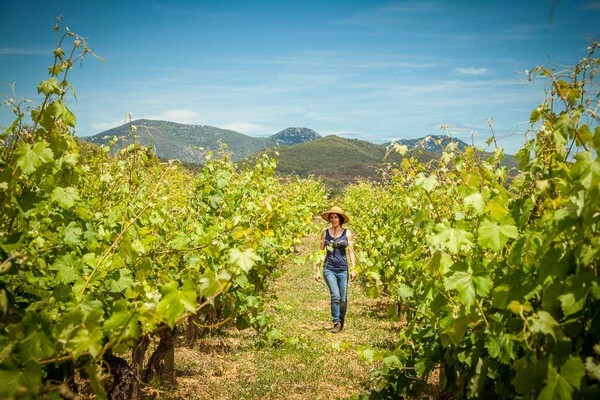 As part of Women’s History Month, we're highlighting five inspiring Languedoc women who, year after year, produce some of the most exciting and delicious wines in the region. They are skilled winemakers as well as farmers, chemists, artists, and marketing wizards. Meet them, and their fabulous wines, below! Lidewij Van Wilgen left a high-powered career in advertising to pursue her dream of creating luscious, beautiful, organic wines. Her wines have received awards from Decanter and Wine Spectator, and glowing reviews from British wine maven Jancis Robinson. We agree! Rich, delicious and smooth, this wine will make you swoon! Try with Pork Tenderloin stuffed with garlic, orange peel, and cherries soaked in Flor de Caña Rum. Laurence Jougla draws upon winemaking expertise handed down through her family for generations. Her organic wines are made from grapes grown on varied soils, giving the wines a beautiful richness and softness. All the varietals of this wine will speak to you in the glass—Syrah gives spiciness and black pepper, Grenache Noir rich, soft fruits, Carignan a rustic leather tone, and Mourvèdre tobacco and chocolate. Great with barbecued ribs, chicken, and burgers. Cathy Izarn and and her daughter, Camille, run an internationally recognized domaine in the St. Chinian appellation. Their organic vineyards are surrounded by wild herbs of the garrigue which contribute to the delicious flavors of their wines, five red and one white. We love them all! Enjoy rich flavors, nice freshness and acidity, and a lovely finish. Think pineapple, pears, and ripe yellow plums. Try with grilled halibut with pineapple and red pepper salsa, or seabass and cabbage spring rolls with ginger and chili dipping sauce. Or both! 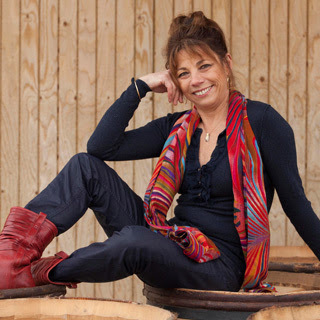 "I fell in love with my first vines, on the highest point of the Causse de Montpeyroux," says Pascale Riviere. "My vineyard is made up of a century-old Cinsault near the village of Arboras, an ancient Carignan tucked away amongst the Olivettes, a purebred Syrah on the edge of an oak forest, and a goblet-trained Grenache in the heart of the Seranne landscape." Could her wines be anything other than divine? 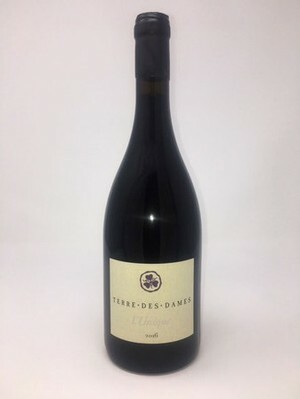 The name l’Égrisée means “diamond dust” which perfectly describes this wine. Such a complex blend of local white varietals and the Carignan Blanc is quite rare! Crisp and clear with rich tones of white fruit, lemon, and lime with a clean finish. Perfect with seafood, chicken, and salads. 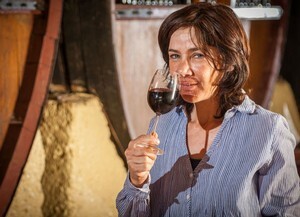 Madame Losfelt has been the winemaker at Chateau de l’Engarran for more than 30 years. 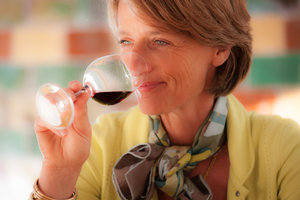 Her guiding principles are authentic terroirs, elegance, and personality. Each of her wines shows a strong character and high style, like the winemaker herself. This Sauvignon Blanc is clean and drinkable. Perhaps too much so! Besides the fruity and floral notes, you'll find a hint of almonds and honey in the nose and taste. The fruit is more tropical like pineapple. Serve with grilled fish, veal, and pork. We are proud to offer the wines of these accomplished winemakers. And there will be more in our next wine club shipment! In honor of this week's beautiful celestial events (a Full Moon, the Spring Equinox and the last Full Supermoon of 2019), we want to highlight the Languedoc-Roussillon farmers who follow biodynamic practices, caring for their grapes and wines by planting, pruning, harvesting and bottling according to the position of the Moon and stars. If the Moon can affect the tides, why not the sap of the vines and the wine itself? 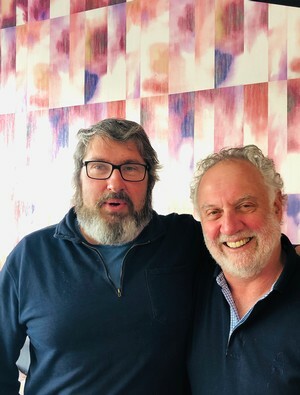 In fact, March 15 was this year’s “best biodynamic bottling day” for whites and rosés according to Quentin Modat, one of our new Roussillon biodynamic winemakers! Biodynamic farming was developed in the 1920s by Rudolph Steiner, father of Waldorf education. 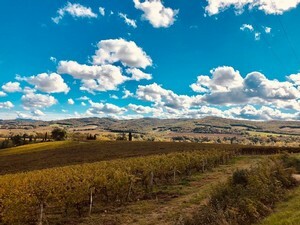 It follows organic principles but also includes more esoteric soil amendments such as spreading nettle tea in the vineyards and enriching the soil with cow manure that’s been fermented in cow horns buried in the earth. Biodynamic winemakers say these homeopathic practices enhance the soil and the ultimate quality of their wines. 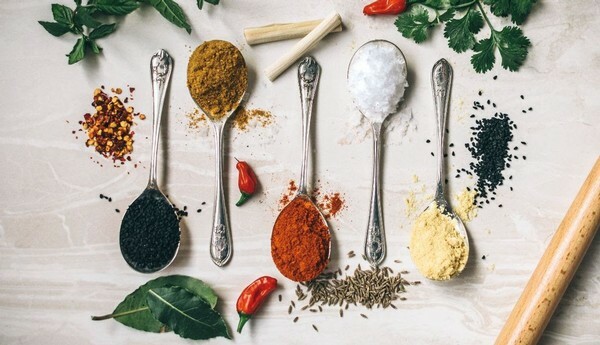 Additionally, Washington State University has conducted several studies on biodynamic compost and there appears to be more measurable microbial activity than in conventional compost, helping to control pathogens in the soil. Vignerons have taken notice. 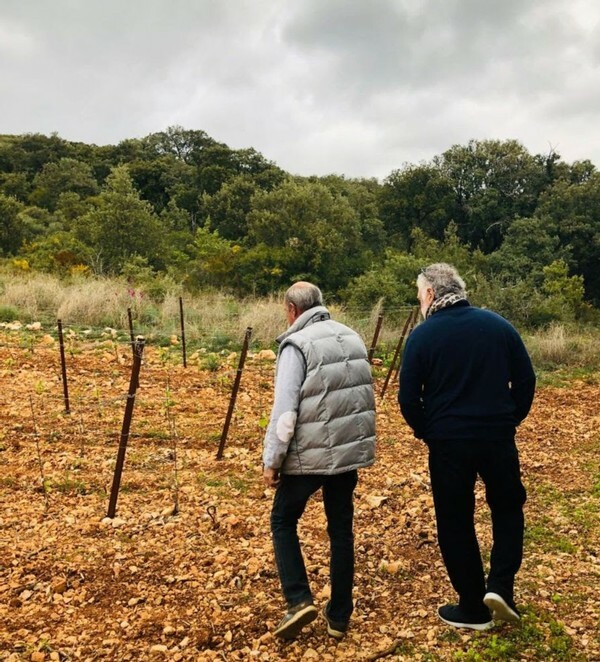 Renowned Languedoc-Roussillon wine mogul, Gerard Bertrand, has decided to convert his thousands of acres of vineyards to biodynamic farming. How do we feel about biodynamic wines? 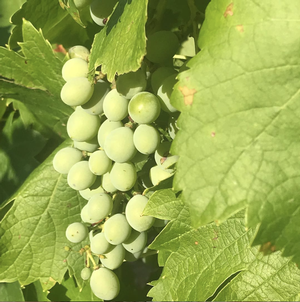 We deeply resonate with the emphasis on earth-centered agriculture and the view of the vineyard as a living, interdependent system. But it’s the taste of these unique wines that made us true believers! This La Féline cuvée is made from handpicked, organic grapes with long maceration on the skins. A 2016 vintage, this wine is still in its youth; very spicy in the nose (pepper, cumin). In the mouth, it's deep and fruity with licorice and garrigue, smooth and silky in the aftertaste. O ne of the most stunning Chardonnay wines outside Burgundy we've ever tasted. This wine has a nice attack with zesty, fruity aromas. As it evolves, the wine is smooth and rich without being heavy. Refill my glass, please! This Beauty of the Night, is an exceptional cuvée, both complex and alluring. 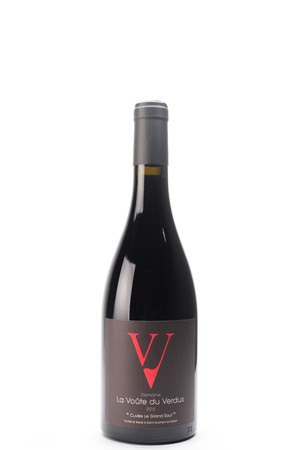 Completely based around old vines of Grenache Noir this voluptuous wine will enchant you! This wine is rich and upfront, silky tannins follow, and the Grand Finale is long and lingering. Food: Think big red meat, truffles, even game. Dive in and surrender! (Jean K. Reilly, "Moonshine, Part 2: A blind sampling of 20 wines shows that biodynamics works. But how? (This, by the way, is why we went into journalism. )", Fortune, August 23, 2004. Accessed March 18, 2018). So many people have told us that they want to come see the beautiful Languedoc region. Now you can easily come and explore the wines, meet some of the passionate wine makers of today’s Languedoc renaissance, taste wonderful regional specialties and spectacular Mediterranean seafood and learn a little about the amazing history of the region: the Greeks, the Romans, the troubadours, and the Cathars. A couple of years ago we discovered a wonderful British owned wine touring company, Vin en Vacances, based in the Languedoc. 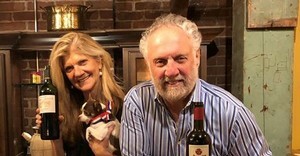 They have offered to create three different wine-food-history tours centered around the themes of our wine clubs: Amphora, Cathar and Mediterranean. We are so excited to be able to share our love of this region, and through these wine holidays you will see for yourself why we call this the SuperNatural South of France! 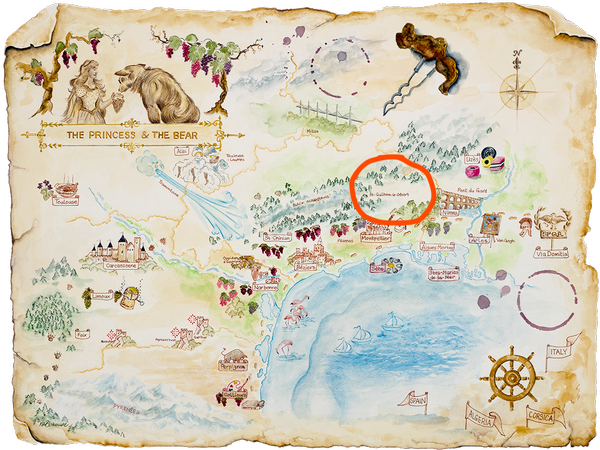 Here’s a note from Wendy Gedney, the owner of Vin en Vacances: "We are honored to have been chosen as The Princess and The Bear's travel and vineyard tour partner so that their US wine lovers can explore the region in person and meet Carol and Steve in the Languedoc. We have drawn up three exciting Languedoc wine holidays that will bring you to this magical part of the Mediterranean to meet the winemakers and discover the secrets of the SuperNatural South of France." This luscious, ORGANIC wine has a silky mouth feel, smooth tannins and a nice, long aftertaste of spiced fruit. This wine is wonderful on its own by the glass, but with food all the rich flavors are enhanced. Roasted veal, fine pork and even grilled beef will pair beautifully with this wine. Delicate and fine bubbles, hints of buttery toasted biscuit, white flowers and a long finish. Not only by-the-glass-wine but try it with white fish, poultry and white meats like veal or fine pork. Perfect! Get these two decadently superb award winning wines for your Valentine for only $39!